This great compact whip is a Performance Hybrid Mini (PHMini) Whip, designed specifically to accomodate indoor performers who want to incorporate complex rhythmic cracking (like volleys, crossovers, etc) into their routines. The neon green on this whip is blacklight responsive, as is the neon yellow popper/cracker. You can find information on how to order your own Performance Hybrid Nylon Whips made exclusively by Lauren Wickline at MidWestWhips.com and TheWhipChick.com! This classy matched pair of Performance Hybrid Nylon Whips is made with silver gray, charcoal gray, and imperial red parachute cord. It’s headed to its new home in France as I type this! You can find information on how to order your own Performance HybridNylon Whips made exclusively by Lauren Wickline at MidWestWhips.com andTheWhipChick.com! 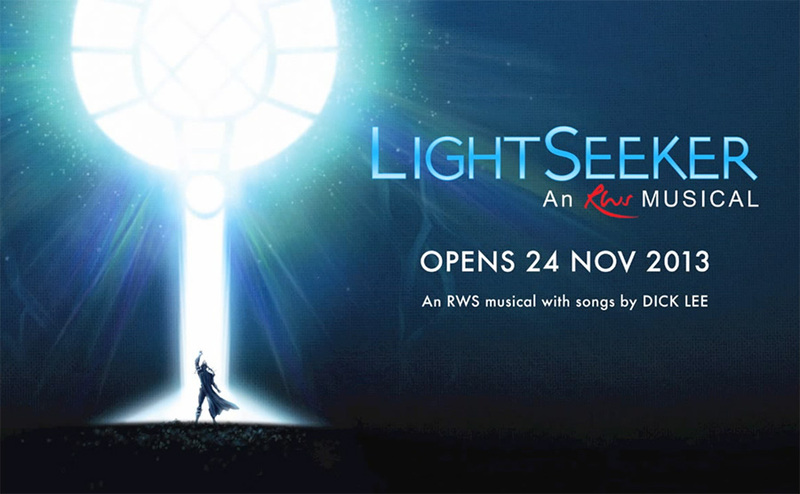 LIGHTSEEKER, a multi-million dollar fantasy musical will premiere at Resorts World Sentosa in Singapore this November. Some of the performers will be cracking whips during parts of the performance, and those whips will be made by Lauren Wickline The Whip Chick. A representative from the production team bought a couple of my Performance Hybrid Nylon Whips a few months ago from my In Stock to see if they were a good fit. The team loved the way they performed so well that the decision was easy – and now I will be supplying all the whips for the performers in what looks to be a sensational musical saga… on the other side of the world! 🙂 The photo above is of the first four whips which will be used on opening night. I’m still working on the remainder of the whips they ordered, which will be shipped as I finish them. You can find information on how to order your own Performance Hybrid Nylon Whips made by Lauren Wickline at MidWestWhips.com and TheWhipChick.com! 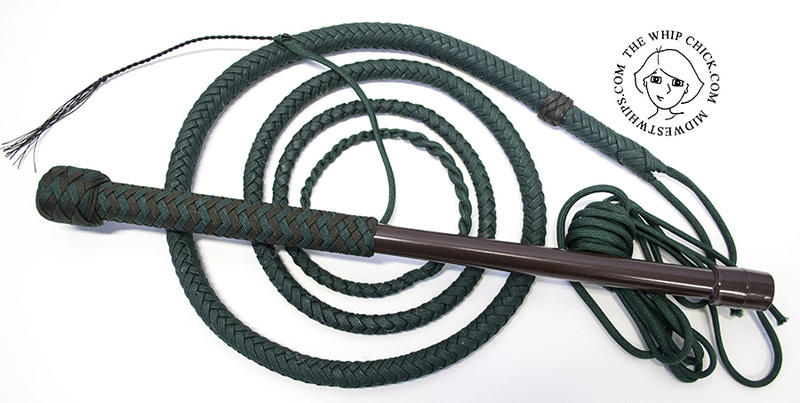 This whip was made with dark brown and dark green paracord with a dark brown handle base.